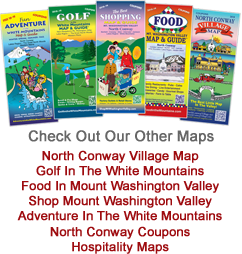 Corridors 19, 18, 12, 11 & 5 are highlighted on this map because they connect major towns in the North Country. For more detailed trail info call Northern Extremes Snowmobiling in Bartlett, 603-374-6000 or Northeast Snowmobile Rentals, 800-458-1838, or Profile Power Sports Let’s Ride Rentals 603-447- 5855. These are the best snowmobiling rental companies in the White Mountains and can hook you up with all the things you’ll need to make your day fun and filled with memories.